Lady Bunny Blog: AN EXCELLENT QUESTION, BERNIE! To be fair, free college education sounds good but there are drawbacks. For example, if you are educated, you would be less likely to vote for the most of the crooks who are in office in the US whose goal is to cut education to have more money for war, spying, Israel's aggression and tax cuts for the wealthy. So far, the US government and the corporate media do a pretty good job at keeping us stupid. 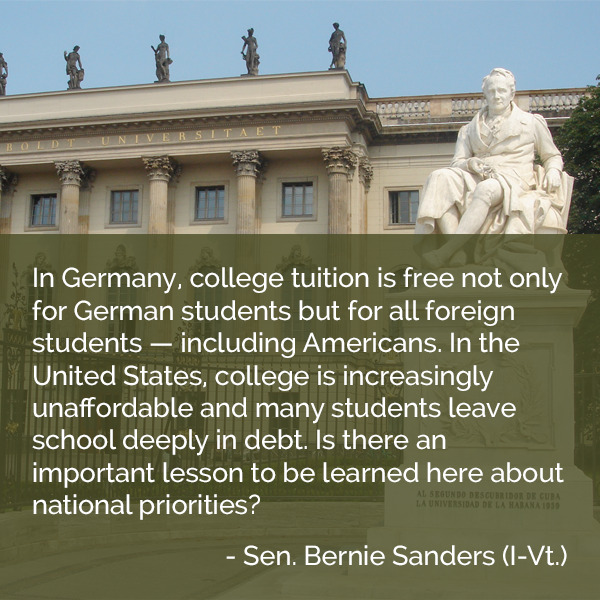 Which is why I support Bernie Sanders﻿, who is addressing the real issues--like why can't US college students afford school when it's free in countries which value education?